How do search engine indices actually check website content for quality and relevancy? Everyone says ranking well on search engine results pages requires content that Google, Bing, and other major search engines deem as “quality content.” While Google frequently updates their algorithms, the focus on keywords and the relevance to those keywords and phrases to the surrounding text is a large factor for search engines in determining what qualifies as quality content. Google uses Panda and Penguin, as well as other algorithms to apply Google’s Webmaster Guidelines to website content and then provides a rank to the website depending on the outcome of the index results. What factors are used and what weight Google gives those factors is available on SearchMetrics 2014 Ranking Factors. The Hummingbird algorithm is the most efficient at determining quality content and may be the best at determining exactly what the searcher is actually looking for in that it can distinguish synonyms for words within a phrase to understand the text better. Panda is more concerned with websites with thin (not much text), duplicate, or “spun” content, pop-up ads, and doorway pages, which is a black-hat technique used to lure searchers to a landing page and then redirecting that searcher to a different page. Most people believe Penguin’s function is only to look at backlinks, although there are other factors it looks at, as well. Frankly, Google and other major search engines are interested in sites with high quality content. The use of these and other algorithms have made search engines more adept at finding sites with quality content and raising their rank, as well as lowering sites that don’t meet the standard. Search engines no longer only look at websites for keywords, but also look at the surrounding text to determine its relevance to the subject. “Keyword stuffing,” the practice of cramming an article to overflowing with the keyword will now result in a lower rank. Take for example my subhead: “Overall Content Quality” the word overall has several synonyms, such as comprehensive, integrated, aggregate and others that Hummingbird can look at to determine a searcher’s intent, thus making it more relevant to the searcher. Content and quality have relevant or “proof” terms as well that must be included in the surrounding text to prove relevance. In other words, do not just place keywords in to an article, but also expound on it with relevant dialogue in surrounding text. If you look back at 2012 and the factors that affect search engine ranks, longer articles did not fare as well in rankings, the norm was 500-600 words. The trend last year was that articles with an average of 975 words fared best. That does not mean an article filled with fluff will fare better. That is just the average. Google also considers how easy it is to read the article on a certain page. Readability also applies to knowing the audience. Obviously technical articles necessarily have a lower number on the Flesch readability scale. The scale normally ranges between 0 and 100, with 100 being the easiest to read. A good rule of thumb or measurement is Reader’s Digest that has a readability rating average of 65, which is writing that is easy to understand by 13 to 15 year old students. Nevertheless, overall a web-writer should aim at the target audience. 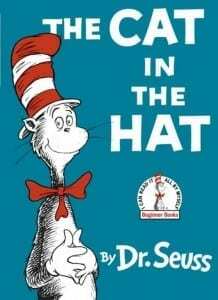 No one over the age of six is interested in reading an article with a readability rating of 100, which would equate closely to Dr. Seuss’ The Cat in the Hat, which actually has a readability score of 118. The use of relevant fully optimized images, graphs, charts, and videos are not only appealing to readers, but search engines perceive those positively as well. On average, top ten websites on Google utilize six to eight images per article. Once again, that depends on the relevance of the images or other media. Using relevant images with quality content serves two purposes, images first, it will help the reader relate to the content and secondly, the right image will draw the reader’s attention and help them remember where they read the content. The perfect image captioned with a keyword, beside a great title will increase the reader’s curiosity, but will also do miracles for social media sharing, rather than plain text. Plain text will have a difficult time competing with shared articles with images on Facebook and Google+. Readers do not appreciate the presence of distracting pop ups and other advertising that disrupt their reading. Realizing that advertisements are essential to profits, keep those ads on the sidelines and out of the reader’s way. Even Google’s AdSense and Adlinks are viewed as negatives. Keeping your content distraction free can be a challenge, after all paying the rent, and keeping the internet on is very important to your livelihood. Yet, there are times when a distraction free environment for content is essential. Creative Bloq gives some excellent tips on how to do that in their article, How to Create Distraction-free Reading on the Web. Writing quality content for the web is critical to a successful marketing plan and SEO. So, remember to stay away from keyword stuffing and provide relevant surrounding text, keep articles to an average 975 words that are easily read (while keeping the audience in mind), with relevant optimized images, and ad free as much as possible to score higher on major search engine results pages.